Being a content creator for my organization, I always want to make sure that the content that our group generates gets consumed by the customer facing teams. It could be a white paper, comparative analysis, performance metrics, workarounds, or new user guides. It would also be nice to know the potential of the content by knowing how wide it could reach so that I can fine-tune the content to be more effective, like adding more case studies or feature descriptions. Most of the sales and support organizations are joined through the sync-and-share platforms like Sharefile, OneDrive, Box, Google Drive, or Dropbox. The industry is innovating rapidly; our customers have a plethora of choices to choose from, and we build content to help assist a sale or keep an existing customer fully informed. This content has a short shelf life, and whenever it doesn’t get used within the window of time, it becomes virtually valueless. Keeping people informed is pivotal to maintaining customer satisfaction. Content utilization drops even further when working with partners like system integrators, resellers, or distributors. Alerts on the availability of new content are often ignored. Even the notifications sent by smart sync-and-share platforms don’t serve the purpose. It is not only about the awareness of the content; there are often more questions asked about where to use the content and which customers can use them. Addressing these inquiries promptly and in context will make it most productive. Until now, there is still no tool that can help the cause, which is to get the content into consumption mode automatically, with the ability to engage with the field teams in the customer’s context. 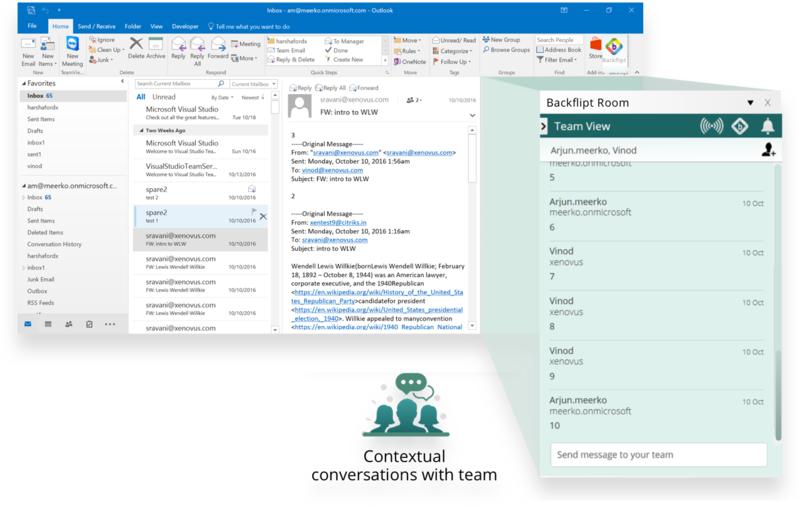 Backflipt is easy to use: I can get my team to install Backflipt, it talks to their email servers and sync-and-share platforms like ShareFile and OneDrive. They don’t need to alter the modus-operandi; they can continue to use Outlook or any email client of choice, and, then, the magic starts! Whenever we place new content in the shared folders—be it ShareFile or OneDrive—team members, who interact with the customers, will start getting recommendations. Now, this is the cool part; Backflipt is going to tell them who, among the consumers, can engage with this content. By the way, content recommendations are not just for version changes but also for related documents. 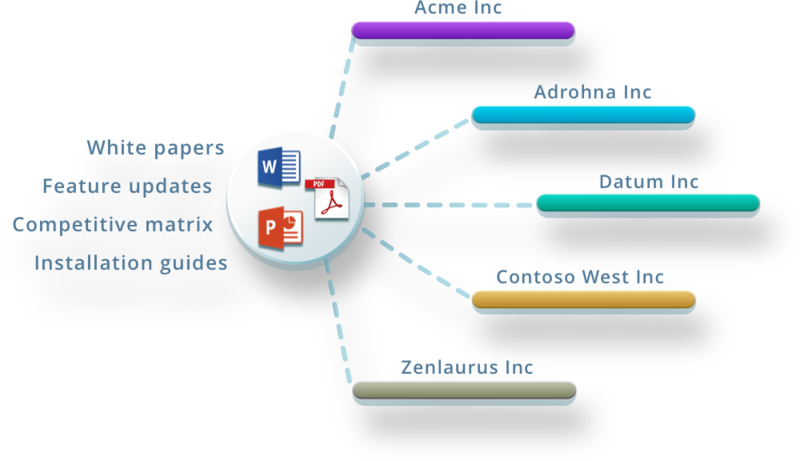 I can add a white paper or a PowerPoint document to ShareFile, and it will match with a conversation where a datasheet was shared with a customer. Backflipt’s Teamview Outlook plugin provides workspace for discussions. Backflipt Teamview is connected with a customer’s conversation in email; these conversations are contextual and private, so the customers can’t see them. Now, the cool part is that they can add me or my group members, i.e., The content creators, without sending or forwarding emails. We can join the Teamview to provide additional information they are looking for before they send out the links to customers. What does this mean for me, the content creator? Backflipt also provides Content Recommendation View, a graph of the external consumers for the new content. It also provides insights into which the customers receive the document and which of them are yet to get it. Cool, isn’t it!